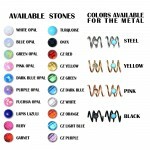 Buy online this is excellent Eyebrow Banana Barbell with Opal gemstones (you can choose another stone or stone color), made from high quality 316L Stainless Surgical Steel, SKU: PN2478SSH with delivery to your country at low prices. Such a name as Eyebrow Curved Barbells these jewelry received thanks to the shape of the base - a сurved barbell also known as bent barbell or banana barbell - are perfect for belly button and eyebrow piercings. The difference between such jewelry is usually in the size of the ball as fasteners of the jewelry. This type of Eyebrow Curved Barbell amidst Eyebrow Piercing Jewelry is also called Eyebrow Banana Barbell, Eyebrow Barbell Earring, Eyebrow Bar Body Piercing Jewelry, Eyebrow curved stud either or simply Eyebrow Ring. The curved barbell on which designer jewelry can be attached can be of different lengths, it can be short either or long - it all depends on your preferences. The length of the curved bar you can choose in option "Barbell Length" during checkout process. The length of the barbell for each product is indicated individually, the specification of the available lengths of the curved bar for this navel jewelry is below this article. 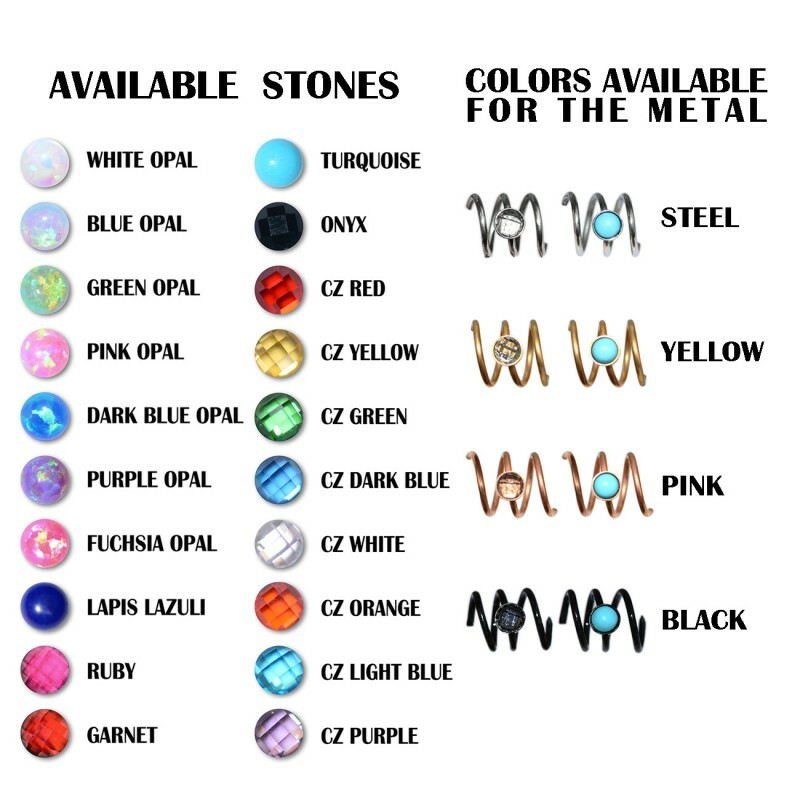 The choice of length when ordering Eyebrow Piercing Jewelry is at the top of this page in the "Available Options" section. 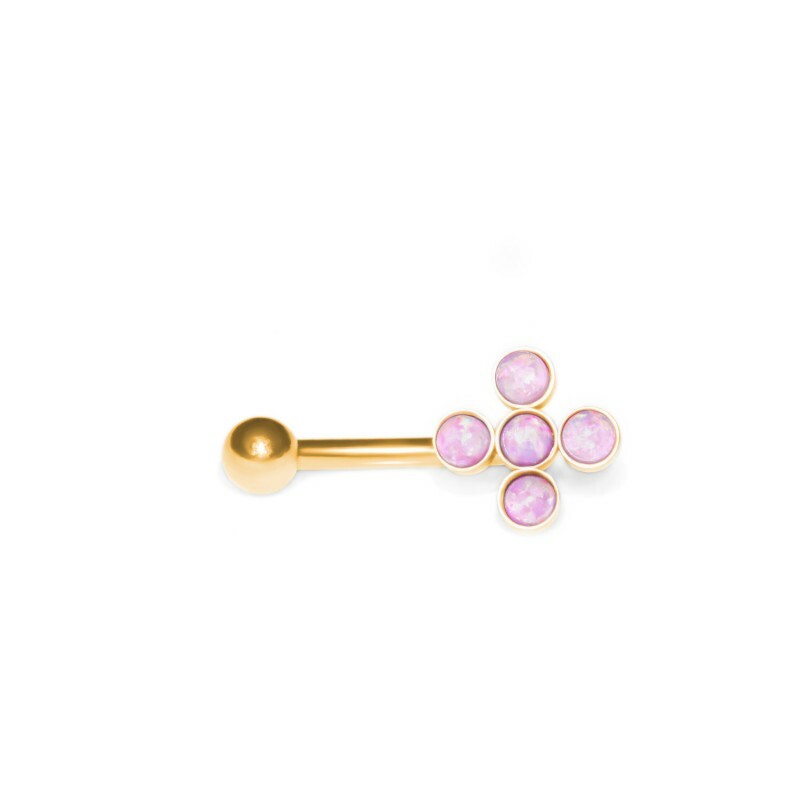 Delicate surgical steel opal eyebrow barbell, SKU: PN2478SSH. It can be used for rook and Eyebrow piercing as well. vailable barbell lengths in millimeters for you: 6mm, 8mm, 10mm, 11mm.